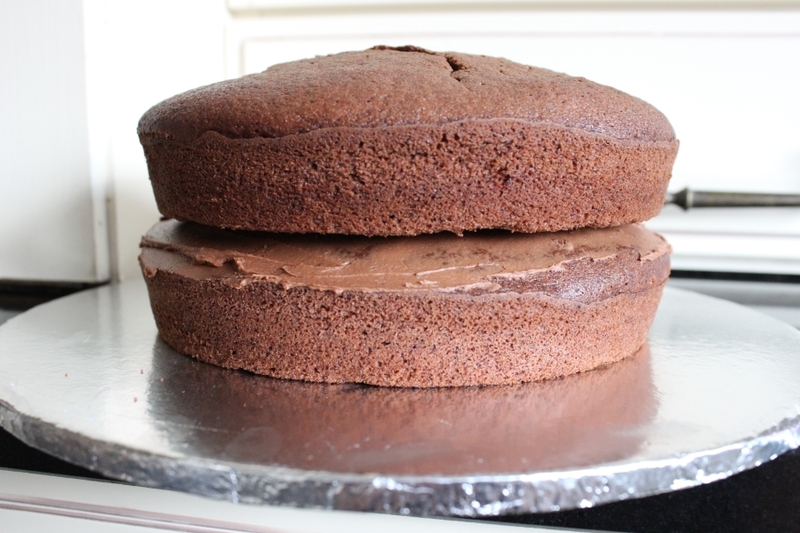 We are big fans of cake to celebrate at Chez Wright, and this simple chocolate fudge cake recipe is a favourite. Today marks the end of the (somewhat controversial) Year 6 SATs in the UK. Time for cake. As specially requested by First-Born. 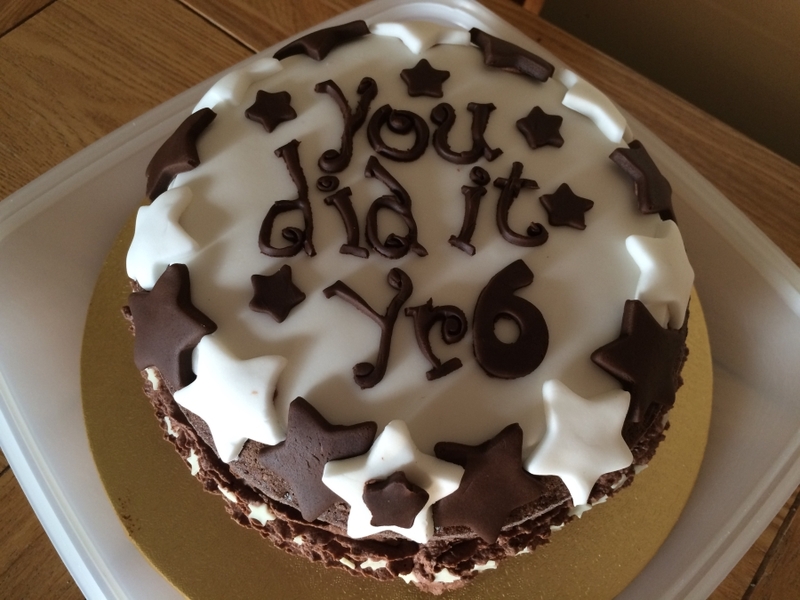 But unlike the tradition of ‘Back2School’ cake – which is shared among the family only – this ‘End of SATs’ cake is making its way into school. 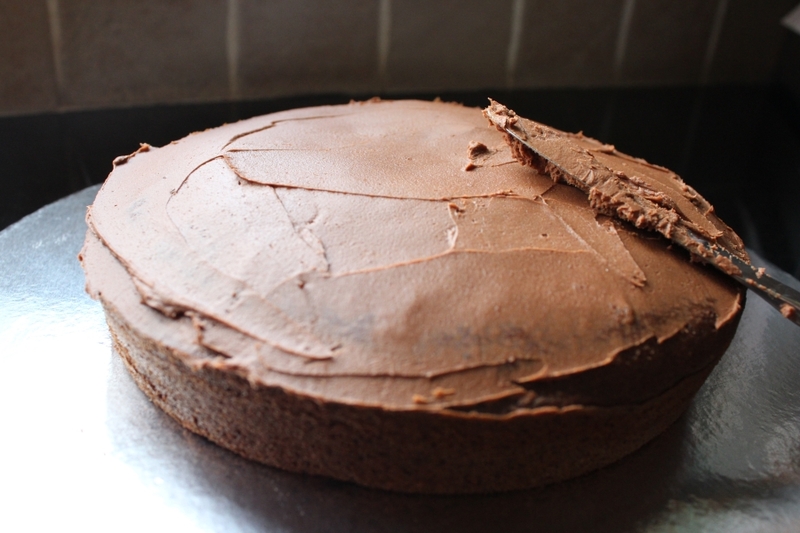 This recipe is a basic (no-frills and economical) chocolate fudge cake. I have posted it before. But we’ll go through it again, as I know with almost 700 posts now on this blog – many of which are recipes – some get a little lost in the amount of content here. Preheat oven to a moderate heat = 160°C / 320°F / Gas Mark 3. Grease and line the sandwich tins. Or alternatively use cake release for ease. 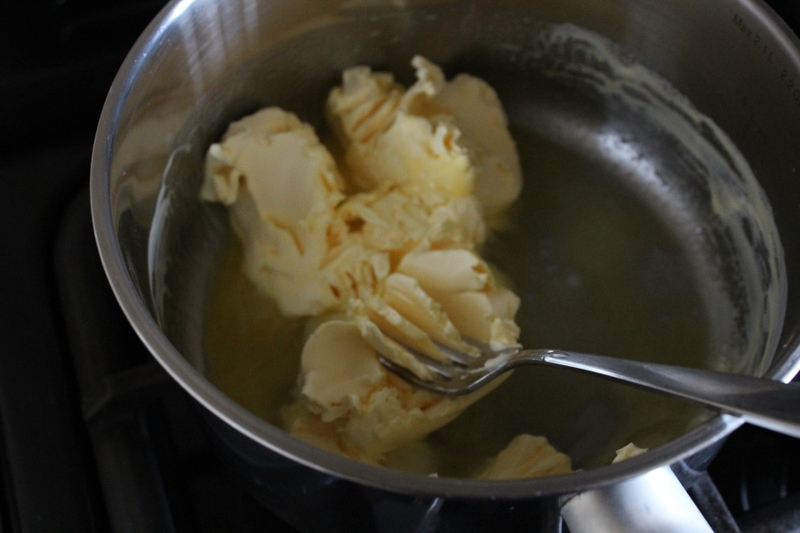 Melt the margarine and leave to cool. 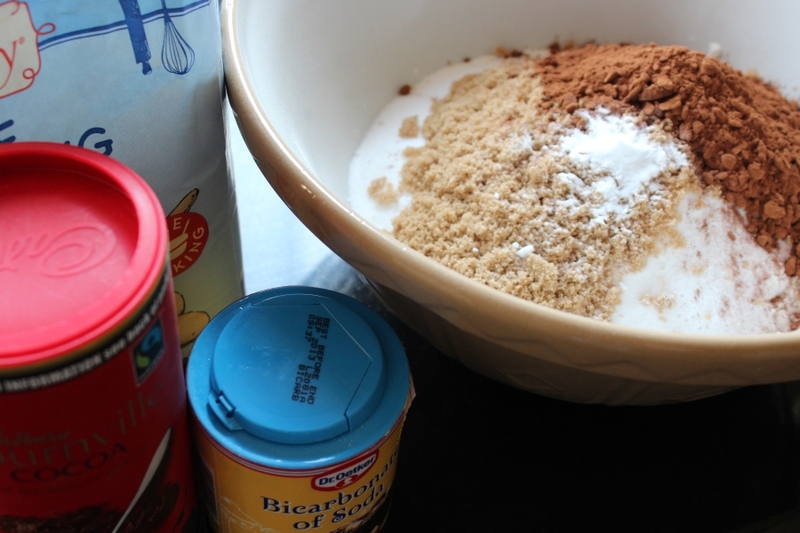 In a large bowl place all the dry ingredients – flour, baking powder, bicarb, salt, sugars and cocoa – and mix together. 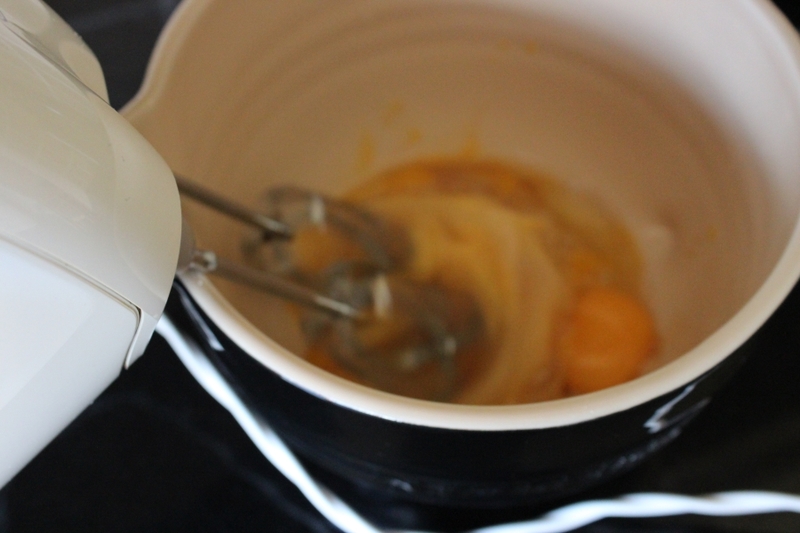 In a jug whisk together the eggs and vanilla. 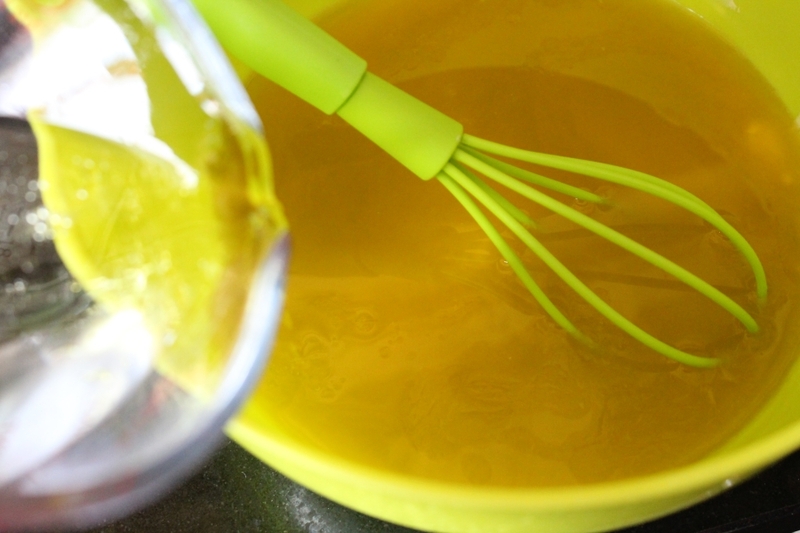 In another bowl, or jug, whisk together the melted margarine, oil and water until just combined. 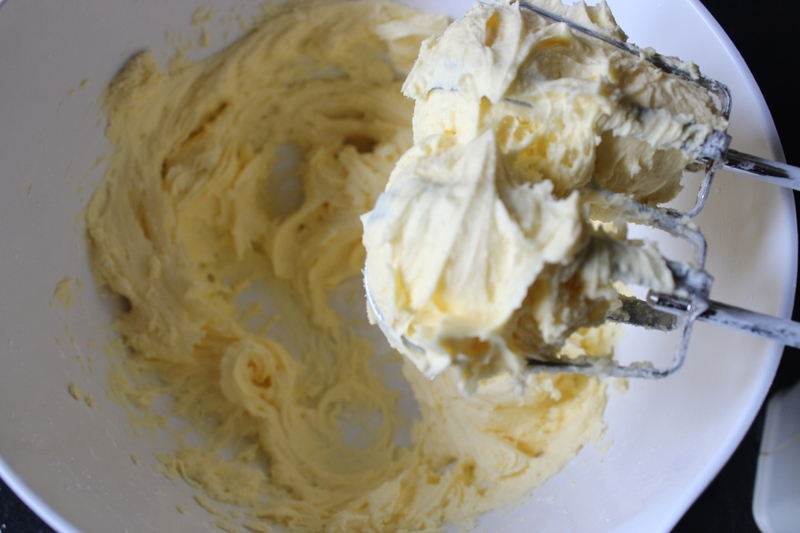 Pour the melted margarine/oil/water into the dry ingredients and mix until combined – do not over-mix. I use an electric whisk. 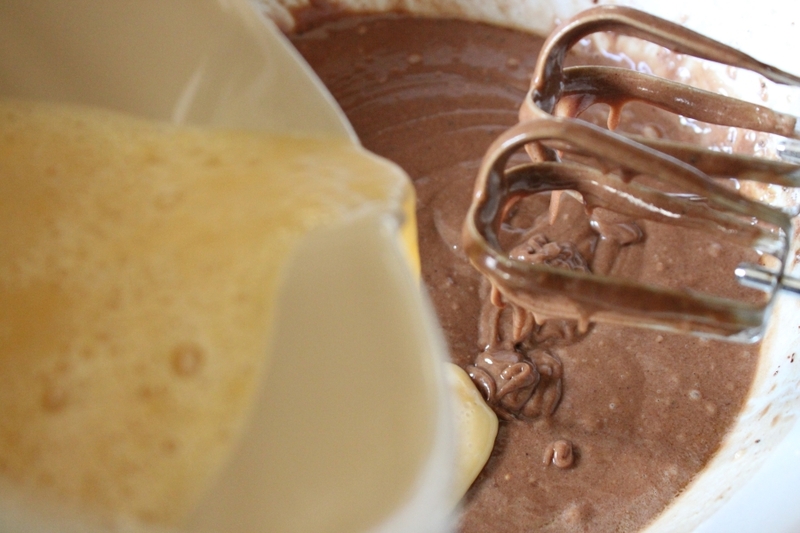 Add the egg/vanilla to your chocolate batter, whisk again till just combined once more. 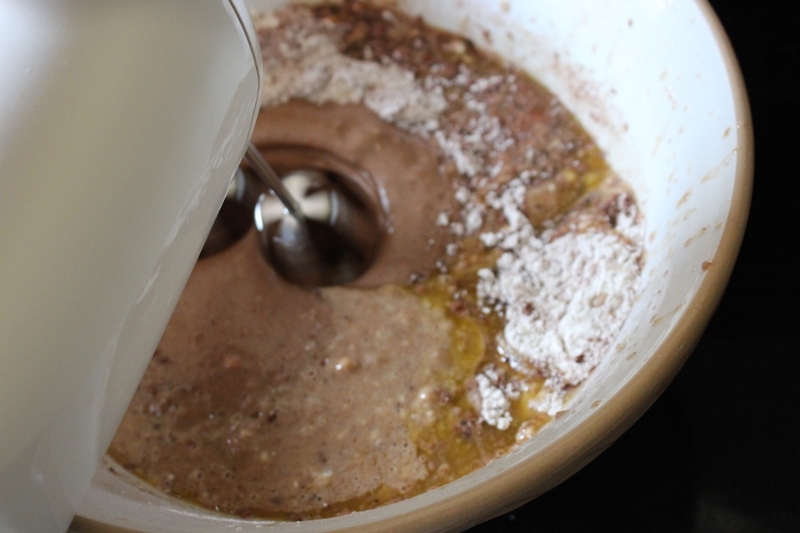 Pour the batter/mixture into the 2 tins as equally as possible. If you want to get the split fairly accurate you could weigh the tins as I do. Place in the centre of the preheated oven and check after 35 minutes. Ovens do vary, and this recipe could take up to 45-50 minutes. Mine was ready in just over 40 minutes. The cakes should be firm to touch. Test with a cake tester/wooden skewer, if unsure, to check the cake is cooked throughout. 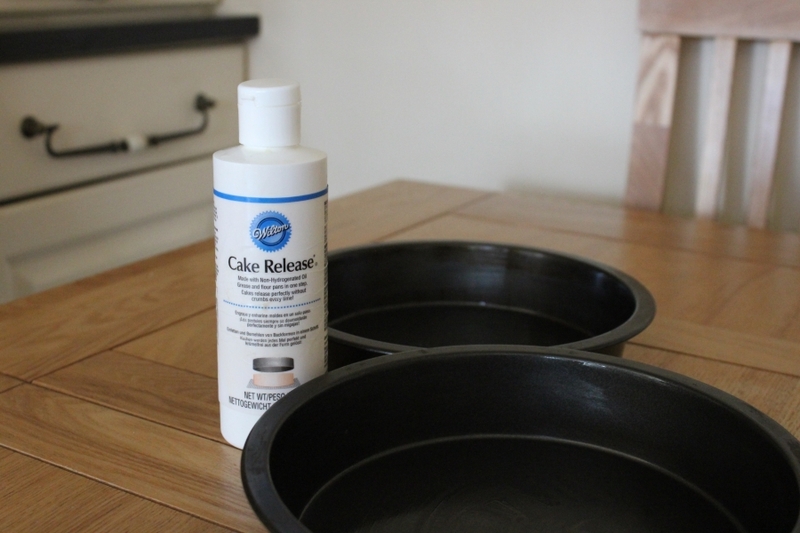 Leave in the tins to cool slightly (and to firm up) before turning out onto a rack to cool completely. 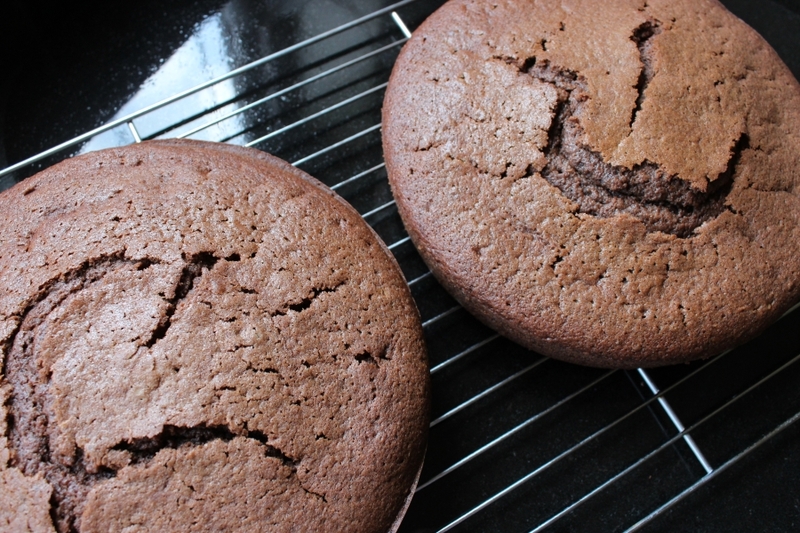 Once cold the cakes can be covered in the chocolate fudge frosting/icing. 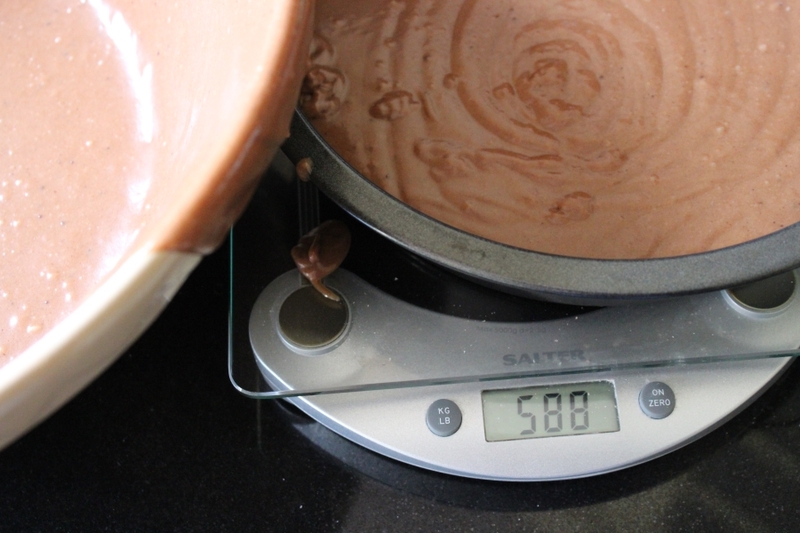 Melt 200g of dark chocolate. 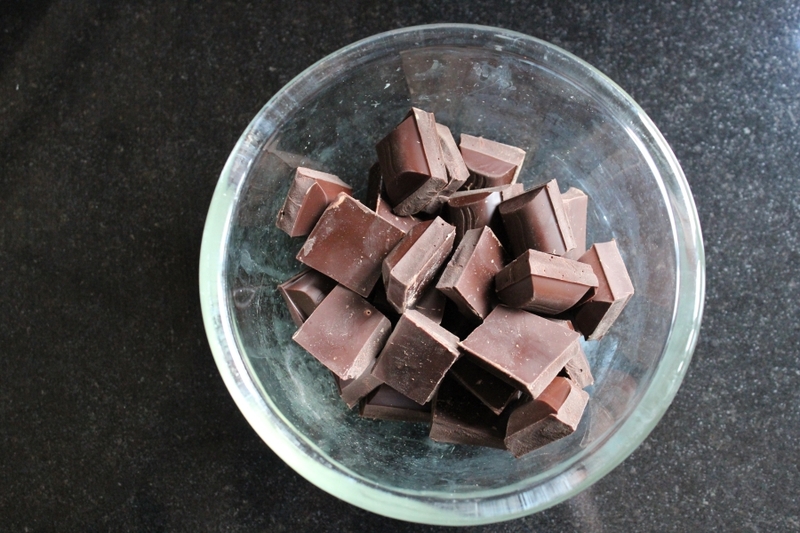 If using a microwave, break the chocolate into chunks and place in a non-metallic dish. It will take approx. 90 seconds to melt in a 800w microwave oven. Stir to ensure all lumps have dissolved. Set aside to cool slightly. 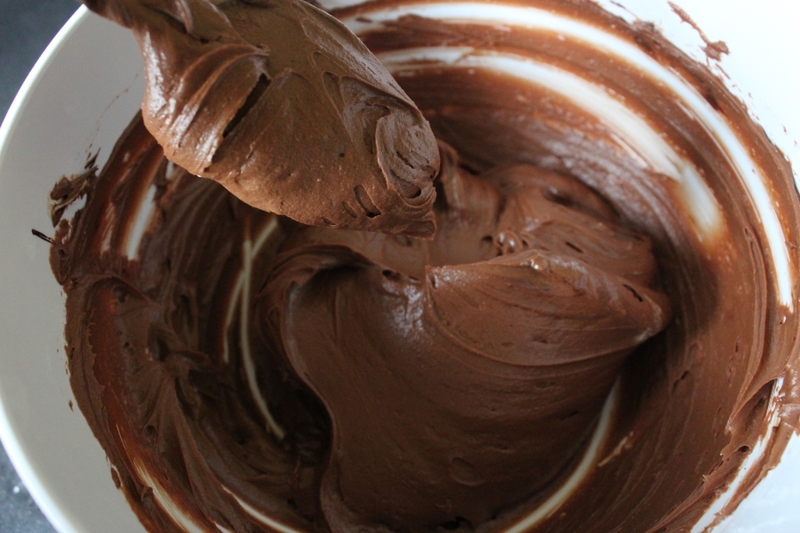 To make the chocolate fudge icing/frosting beat or whisk together 200g of margarine with 300g of icing sugar. This can get messy! I use an electric whisk. This creates a crumb like consistency first, which is normal. 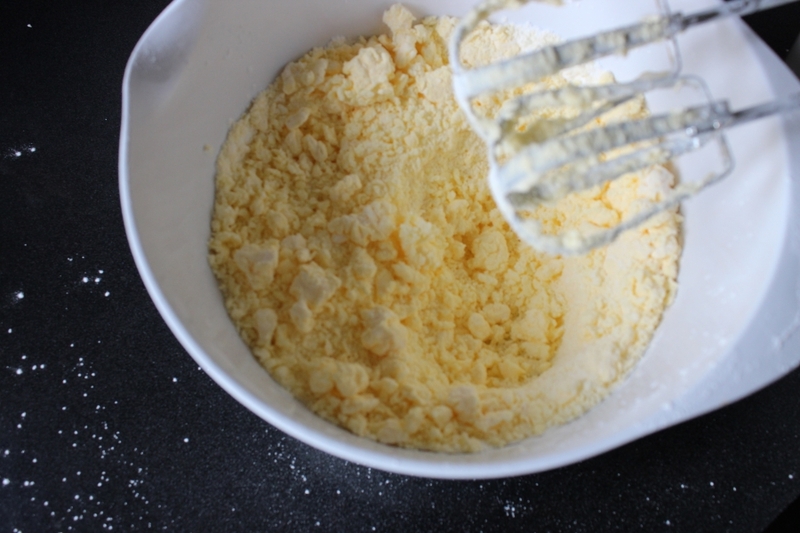 Continue to whisk or beat (by hand) until the mixture is smooth. 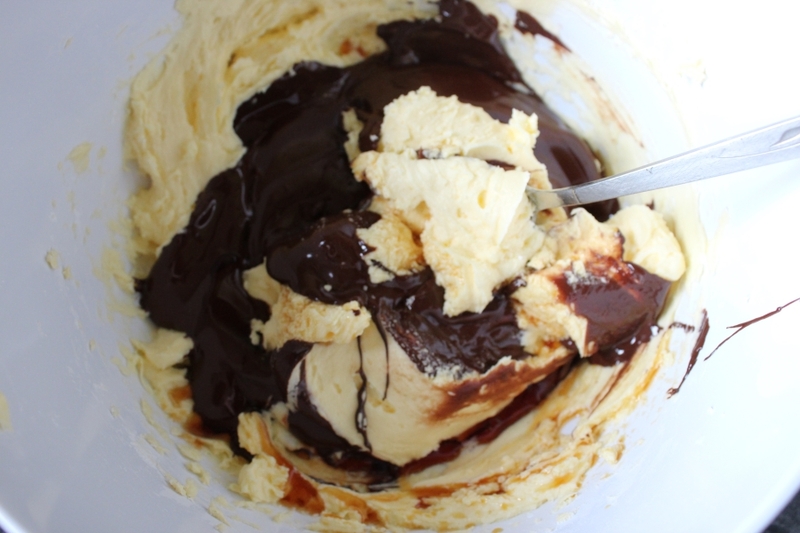 Pour in the melted chocolate and add a tablespoon of vanilla and beat in by hand. Make sure it’s combined thoroughly. 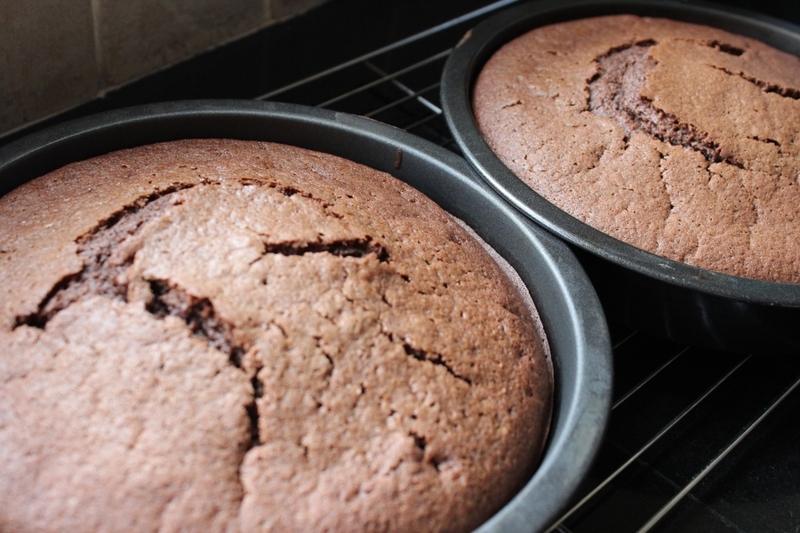 The bottom tier of the cake may need to be levelled slightly to stop the top-tier bowing and splitting when placed on top – this will depend on how much the cakes have risen. reducing the temperature of your oven slightly (to 150 degrees) can reduce rise. 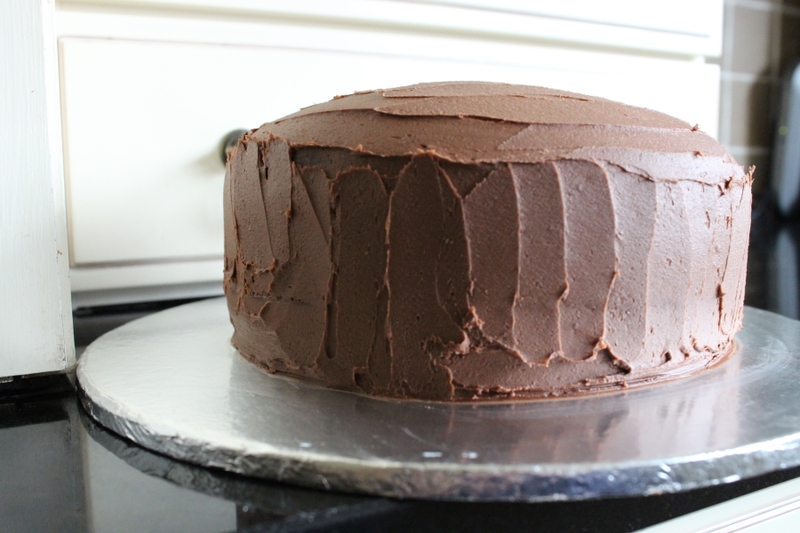 Once/if levelled, spread the top of the bottom tier with the frosting/icing. Spread the frosting/icing all over the cake, including the sides. There will be plenty of icing to cover the cake! 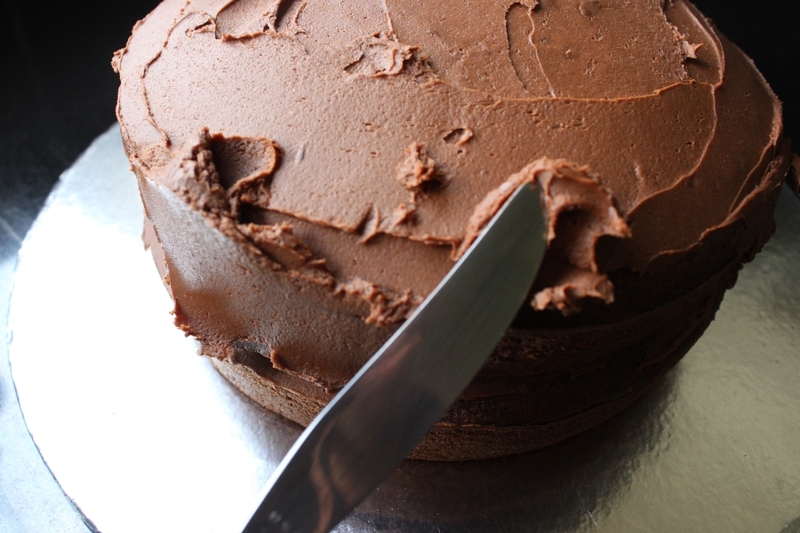 This simple chocolate fudge cake recipe should last up to 5 days in an airtight container. Do not refrigerate as cake and extreme cold do not go well together. Chocolate fudge cake is one of my favourites and I can’t think of a better cake to celebrate finishing exams. Love the recipe, it’s not as fiddly as some recipes. Next post: How Do You Save Bananas?